Stephen Beaumont Host Special Event Monday, March 24 at 7:30 p.m.
Fleur by Hubert Keller at Mandalay Bay will host an intimate Belgian-inspired beer pairing dinner Monday, March 24 at 7:30 p.m. Mandalay Bay’s Director of Food & Beverage and Nevada’s first female cicerone Sarah Johnson, along with renowned beer expert Stephen Beaumont, will host the event and guide guests through the dinner, explaining the inspiration behind each pairing. The memorable meal is priced at $100 per person, plus tax and gratuity, and includes an autographed copy of Beaumont’s book, The World Atlas of Beer. 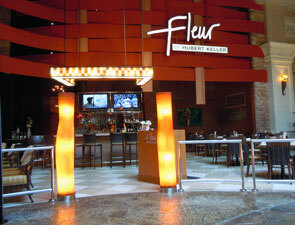 To make a reservation, contact Fleur by Hubert Keller directly at 702-632-9400. *All sandwiches will include a side of french fries. Since 2006, more than 1.5 million meals have been provided for those in need through funding obtained during Restaurant Week. Today, Three Square feeds nearly 100,000 men, women, children and seniors each month. With the community’s support during restaurant week, Three Square gets closer to its goal of feeding the 300,000 people in need in Southern Nevada. All proceeds from Restaurant Week remain in Las Vegas and help Three Square in its fight to end hunger in Southern Nevada. 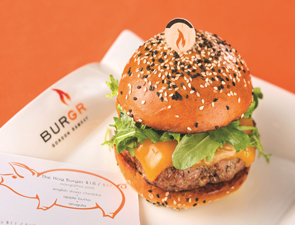 Continuing to elevate the traditional burger experience, Gordon Ramsay BurGR leads the way by introducing its newest and most unique culinary creation: The Hog Burger featuring exceptional Mangalitsa pork. Unavailable anywhere else in Las Vegas, Mangalitsa pork is renowned for its rich and succulent texture, superior quality and incredible concentrated flavor. Already receiving rave reviews, the Hog Burger at Gordon Ramsay BurGR features a special grind Mangalista patty, perfectly grilled over oak, apple and alder woods, basted with maple butter and served with melted English sharp cheddar and arugula on a signature Brioche bun made fresh daily and topped with black and white sesame seeds. Mangalitsa pork is sourced from Mosefund Farms where the distinctive curly-coated pigs are raised in open pastures and given the time and care to mature. In fact, they require nearly three times as much as of everything from time to mature to amount of feed, as commercial commodity pigs do. They graze on grass and clover and are finished on barley to ensure the highest quality of flavorful and healthful meat. The Mangalitsa breed was originally developed during the Austro-Hungarian Empire for its exquisite flavor and was originally reserved exclusively for the taste buds of royalty. The Mangalitsa, with its long, often curly hair, is descended, like its cousin the black footed Iberian pig, from the European wild boar and is not well known because it was behind the iron curtain for nearly 60 years. In the 90’s, it was on the brink of extinction with only 200 animals left. Mangalitsa pigs were virtually unknown and non-existent in America and remain a rare find domestically. That is until New Jersey native, G.C. 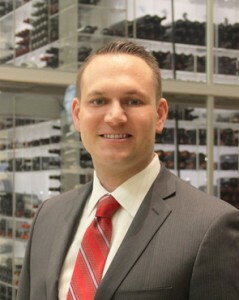 Andersen spent many years traveling Europe enjoying the taste experience of the Mangalista. He returned to New Jersey with the fadeless memory of the amazing taste of Mangalitsa but found he could not replicate it in the U.S. Motivated to learn all he could about the Mangalitsa, Anderson discovered that the pork he enjoyed in Europe came from heritage breed pigs that are meticulously reared and produced through old world traditions of raising and butchering livestock - a process not found in America. With passion and determination, Andersen set out to revitalize those old-world traditions at his Mosefund Farm in Sussex County, New Jersey. Due to his dedication and passion for maintaining the integrity of the breed, today Mosefund Farms is the exclusive producer, east of the Mississippi, of the rare breed and has more than 90% of the Mangalitsa livestock in the United States. Unwavering in his commitment, Anderson continues to rear the breed to perfection. He recognizes the important role butchering plays too and takes his pigs up to 1,000 miles away for butchering that meets the stringent standards he upholds. 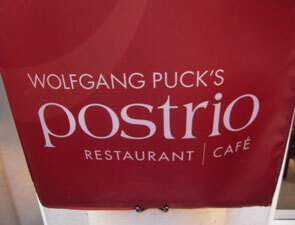 Wolfgang Puck’s Postrio Bar & Grill will host an exciting cocktail hour featuring Chamucos Tequila. Cocktail enthusiasts are invited to join lead bartender Joe Intiso and Chamucos owner Mark Howard as they lead an interactive mixology class showcasing the classic Margarita and Postrio’s specialty Spicy Cucumber Margarita using Chamucos hot sauce. 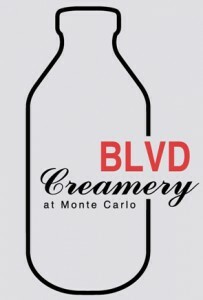 All guests will receive complimentary tastings of the featured cocktails and helpings of flavored popcorn plus 50% off bar bites and a selection of menu items. Since 1994, Chamucos produces in the small pueblo of Usmajac in the state of Jalisco at Tequilera El Triangulo, S.A. de C.V. It is double distilled, aged in white oak barrels, and bottled at 40% abv. Known for its smooth and balanced use of Blue Weber Agave, Chamucos offers a clean and crisp flavor profile with floral and citrus notes perfect for pairings. Thursday, February 20, 2014 at 9 p.m. 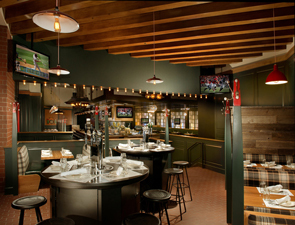 The bar at Wolfgang Puck’s Postrio Bar & Grill; Admission is complimentary. Emeril Lagasse’s Las Vegas restaurants, Delmonico Steakhouse, Emeril’s New Orleans Fish House and Table 10 will feature the winning dish from the final episode of “Top Chef” through the month of February. 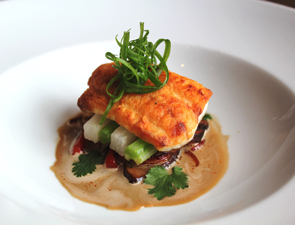 Fans can taste Chef Shirley Chung’s Texas Red Fish with Asian meuniere sauce, braised celery and shiitake mushrooms ($36) during dinner service at any of the restaurants. The dish won the final regular episode during this season of “Top Chef,” which was filmed in New Orleans at Emeril’s namesake restaurant. Emeril’s New Orleans Fish House is located at the MGM Grand and open daily for lunch 11:30 a.m.-2 p.m. and dinner 5-10 p.m. For reservations, please call 702.891.7374 or visitemerilsrestaurants.com/emerils-new-orleans-fish-house. MGM Resorts International restaurants will be the headquarters for great football fare offering an extensive lineup of “Big Game” specials Sunday, Feb. 2. Fans can rush to ARIA, MGM Grand, Mandalay Bay, The Mirage, Monte Carlo, Luxor, New York-New York and Circus Circus to enjoy dining specials fit for winners while catching the exciting action of every play. 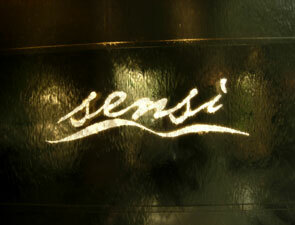 For more information and full menus, click here. THEcafé at THEhotel will punt it out of the stadium with game-inspired dishes including Moroccan-Spiced Chicken Wings and the Big Game Burger. Rounding out the lineup, Raffles Café will offer the Big Game Breakfast featuring Philly-style scrambled eggs loaded with shaved prime rib, sautéed green peppers and onions on a bed of golden hash browns topped with cheddar cheese sauce and the Big Game Raffle Sandwich made with boneless buffalo chicken wings, Applewood smoked bacon and pepper jack cheese. Guests can take a time-out inside BLT Burger with two menus representing the teams battling it out in the biggest football game of the year. Appetizers and juicy burgers inspired by Seattle and Denver will be available beginning Tuesday, Jan. 28. BLT Burger will track the sales of each and the results will be posted before Sunday’s game to see if the spirited menu items predict the actual winner. STACK Restaurant & Bar will feature an all-you-can-eat Big Game menu priced at $75 per person. Offerings include Warm Pretzels, Classic Sliders, Old Bay Crab and Spinach Dip and King Crab Jalapeno Tacos and more. Doors will open at 1:30 p.m. on game day and reservations can be made by calling 702.693.8300. The Pub at Monte Carlo will pump up the crowd with the All-You-Can-Eat Package for $60 and the All-You-Can-Eat-and-Drink Package for $125. With a selection of more than 300 beers, it is a prime location for the football frenzy. Table reservations are available by calling 702.730.7421 or visiting the hostess stand at the restaurant. Guests can scrimmage inside BRAND Steakhouse & Lounge with game day specials beginning at 2 p.m. Menu items include Chili Cheese Dip, Wings, Buffalo Chicken Sandwich, New York Sirloin and Brooklyn Filet. Reservations can be made by calling 702.693.8300. Andre’s Restaurant & Lounge’s menu items created in honor of the Big Game include Spicy Chicken Wings, Shrimp Cocktail Platter, Assorted Cheese Plate and more. This feast, fit for a quarterback, is priced at $180 plus tax and gratuity. Guests can head down field to The Sporting House Bar & Grill to indulge in the Bottomless Bar Package featuring an all-you-can-eat buffet with build-your-own nacho and baked potato stations, hot dogs, bratwursts, chili with cornbread and novelty ice cream bars. Packages range from $195 to $225 and every seat in the house offers a prime view of the game. Fans can land in the end zone of Public House to view the game while splurging on the All-You-Can-Eat Buffet Game Day Package featuring a full array of enticing fare served buffet-style for $160 per person plus tax and gratuity. Items include Italian sausage and peppers with hoagie rolls, beef, chicken and pulled pork sliders, assorted foot-long sub sandwiches and loaded potato skins. Guests won’t fumble by checking out The Garden Grill for a pizza and pitcher of Bud Light for $26 as well as Budweiser, Bud Light, Bud Light Lime and Michelob specials at The West Bar and The Garden Grill Bar. Drink specials include: bottles for $3 each; buckets of four bottles for $11; and a bottle with select shots for $7. 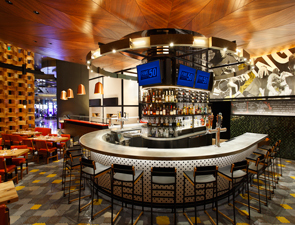 FIVE50 Pizza Bar, the industrial-chic casual concept by renowned chef Shawn McClain serves up wood-fired pizzas, flavorful small plates, artisanal charcuterie, international cheeses, seasonal salads, handmade pastas and decadent desserts as well as more than 50 craft beers. FIVE50 is located next to the Race and Sports Book and will be broadcasting the Big Game on televisions centrally positioned above the main bar. 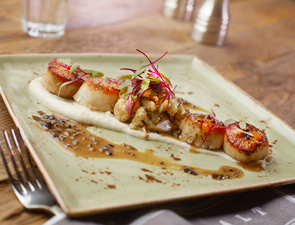 PUB 1842, the casual tavern-style eatery by Celebrity Chef Michael Mina playfully blends unexpected flavors and textures into classic American pub favorites. Named for the year modern Pilsner beer was invented, PUB 1842 offers more than 60 ales, pilsners, stouts and lagers making it a great place to fuel the cheers during the Big Game. Food and drink specials abound throughout the Race and Sports Books at MGM Resorts International properties. Each offers prime viewing of the Big Game and convenience for those wishing to place last-minute bets. This is a sampling of the many offerings across MGM Resorts’ restaurants in honor of the Big Game. No matter the yard line, any of these stops are sure to keep the crowds rumbling from kick-off until the clock runs out.